Home » Eunjung » Pictures » T-Ara » EunJung greets fans for T-ara's V App in Vietnam! 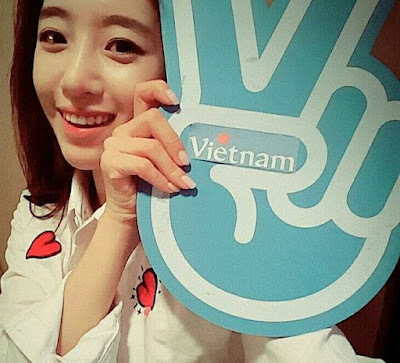 EunJung greets fans for T-ara's V App in Vietnam! T-ara's EunJung is here to complete the trio who will be in Vietnam for their V App broadcast! After HyoMin, and JiYeon, here's EunJung greeting fans with her lovely picture. As we have said in the earlier posts, EunJung, HyoMin, and JiYeon will be there to attend a phone launch on March 15, and along with that, they will also be having a three-day V app broadcast while in Vietnam from March 12 to 15.